What kind of architecture should be placed on Atacama- one of the world greatest desert? With respect to its greatness of nature creation, rather than build any obvious human intervention, we propose the museum that disappear in topography. The museum is created by do nothing more than just simply punch- out the hole on the ground. 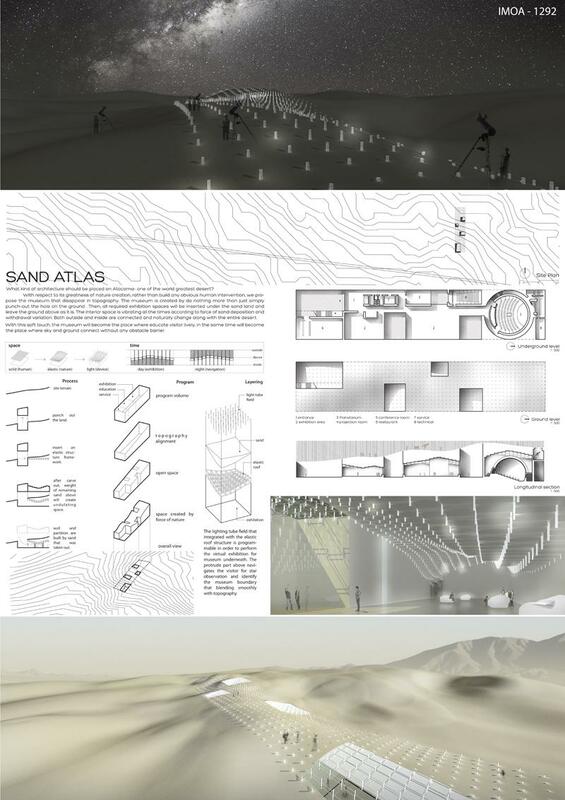 Then, all required exhibition spaces will be inserted under the sand land and leave the ground above as it is. The interior space is vibrating all the times according to force of sand deposition and withdrawal variation. Both outside and inside are connected and naturally change along with the entire desert. With this soft touch, the museum will become the place where educate visitor lively, in the same time will become the place where sky and ground connect without any obstacle barrier.